If you enjoy being creative then book into our ‘Sewing with Sue’ workshop. 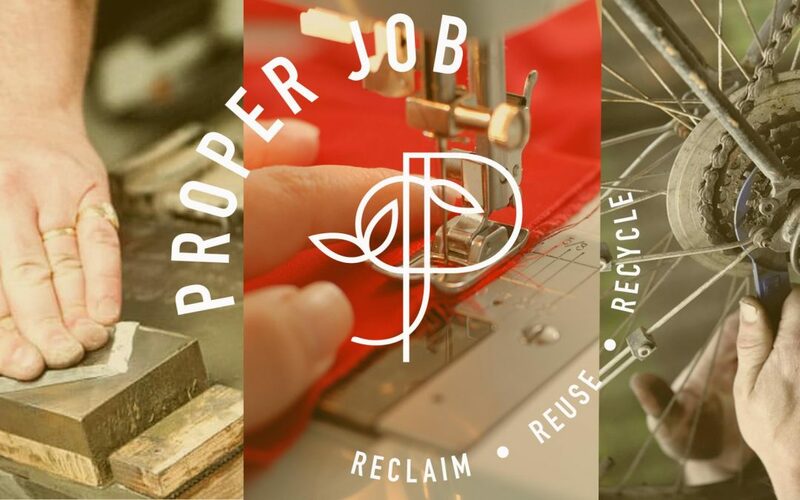 Choose to make a peg bag, cushion or tote bag upcycled from reclaimed clothing and fabric from the Proper Job Resource Centre. Sue will show you through the whole process, pattern cutting, pressing, sewing by hand and machine. To book a sewing session with Sue please click on ‘Get Tickets’. A sewing session lasts an hour and costs £5 and no previous experience is necessary. Under 12s must be accompanied by an adult. Please ensure you arrive at least 10 minutes before the start of your session, join us for a cup of tea and be inspired by other repair and reuse ideas!